Internet technology has contributed a lot to modern society’s evolvement. Information can be disseminate freely online. But in regards of the financial realm, Internet connections are like linking several divided island where centralized exchanges and currencies have dominated the world. People is in need of a global financial tool that is reliable and usable. So, here comes the Bitcoin. 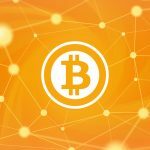 The Blockchain technology that forms the basis of Bitcoin is actually a complex of a few theories and thesis including cryptography. It aims to evolve and eventually replace the traditional financial technology and make money circulating freely around the globe, just like how the Internet technology substitute the then prevailing telephone network. The first application that an user will have access to when connecting to the Internet is usually the browser. It’s the entrance to the Internet for most of the common users and the portal for numerous businesses. The earliest Internet Explorer that introduced by Microsoft in 1995 opened a brand new era but it was simple and crude with very limited features. With more and more users demanding for better browsers, Jeff Chen, who just graduated, wrote the very first line of code for Maxthon Browser in Singapore in 2000 our of pure love towards Internet technology and browser development. 3 years later, Jeff released his individual version of browser and acquired millions HKD investment from Morton Lund, Skype’s early investor. Jeff then changed the browser name to Maxthon according to an Irish user’s suggestion in July 2004 and the name is still in use. Maxthon means permanently pursuing for the best, and it has been the motto for Maxthon Browser for over a decade till now. Maxthon has been awarded “Best Browser” in three consecutive years and has also been named Asia’s most potential business Top 100 by the world’s leading IT commentary magazine “Red Herring”. Jeff single-handedly created the browser product Maxthon Browser and helped it grows into a famous international product with hundred millions of users that covering 242 countries all over the world with 670 million global downloads in total. As a beach-goer who always stay on top of the Internet technology and with large user scale and sound reputation, Maxthon is never afraid to be the first. Leading by Jeff Chen who is a tech savvy guy himself, Maxthon has achieved a lot of 1st in the browser category, including but not limited to be the first browser to be able to block floating ads globally, the first browser to implement data synchronization between different devices, and the first browser to be able to switch between Webkit and Trident core smartly. 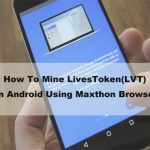 Now, Maxthon is partner with LivesOne, a blockchain project that introduced by Singapore based Symbiosism Economy Foundation, to develop a brand new version of browser that can mine cryptocurrency(LivesToken) itself. Technically, Maxthon Browser is not the first browser to implement blockchain technology. A browser called Brave Browser with relatively small userscale has launched its own cryptocurrency BAT in May 2017. Brave Browser has introduced token distribution and incentive mechanism that based on blockchain technology and achieved disintermediation for the middle part in online advertising conversion in order to realize high efficiency and accurate online advertising. As a result, it can better serve the content producers by giving them more rewards and users will enjoy better access speed and security protection. BAT’s circulation market capitalization is around $39,794,027 and ranked No.58 among all cryptocurrencies. It’s current price is around $0.4 with a total issuance of 1,500,000,000 tokens. In essential, Brave Browser just released a token for online advertising, which means users can obtain tokens by watching and clicking ads. On the other hand, Maxthon has long been focusing on the blockchain technology realm and aiming to achieve more. Therefore, after months of cultivation and improvement, its brand new Maxthon Browser Mining Edition will be released soon to welcome Symbiosism Economy, the future economic form. Aside from the predatory relations and vicious competition between nature creatures, there is still a profound and interdependent symbiosism relationship existed. German biologist Anton De Bary first introduced the notion of symbiosis in 1879. The symbiosis does not only existed in the wild nature, but also remains in human society and even the economic field. Symiosism economics believe that “Symbiosism” is the process and method of economic development while “Share” is the result, and “Mutual Benefits” is the development direction. Symbiosism economics interpret the new symbiosism relationship between producers and consumers from a modernized perspective. 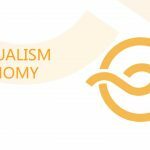 Symbiosism Economy is the ultimate goal for global economic development. The key point of the Symbiosism Economy is to quantify the behavior of users in the process of using the Internet, so that users’ behavior can finally generate economic value and gaining benefits for themselves. Thus, it can enhance the user loyalty and ultimately achieve the goal of mutual benefits, common and sustainable development of both businesses and users. It’s far better than the free economy era because it can further motivate users to use different products and services and businesses to better improve them. Imagine this, in past stages, you shopped on amazon.com in its early days, contributed your money, clicks, conversions to the e-commerce website and help made Jeff Bezos a billionaire, then what you’ve got besides from your ordered merchandise? Nothing! But in Symbiosism Economy era, you, as an early adopter of Jeff Bezos and Amazon, can receive incentives from them. If Amazon goes big, then you can gain profits because the incentives’ value will rise too. This is the general idea of Symbiosism Economy. And the incentive in our case is LivesToken(LVT), the cryptocurrency that issued by LivesOne platform. 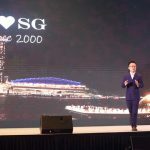 The platform is created by Singapore based Symbiosism Economy Foundation that aims to build a brand new business model. LivesOne and Symbiosism Economy Foundation will devote themselves into research and development of Symbiosism Economy. It entrusted Beijing AoYiQuKuai Technology Limited to help develop the LivesOne platform in order to eventually form an ecosphere of Symbiosism Economy. The key point of the Symbiosism Economy is to quantify the behavior of users in the process of using the Internet through unique POV(Proof-of-value) consensus program, so that users’ behavior can finally generate economic value and gaining benefits for themselves. Thus, it can enhance the user loyalty and ultimately achieve the goal of mutual benefits, common and sustainable development of both businesses and users. Maxthon Browser has already joined the Symbiosism Economy and has reached strategic cooperation agreement with Symbiosism Economy Foundation to be the first major business joining the system. Maxthon is the first major Internet application developer to test the water of blockchain technology. 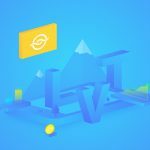 LivesToken(LVT) is the cryptocurrency issued by the LivesOne, which is the medium that solves the user value realization problem. 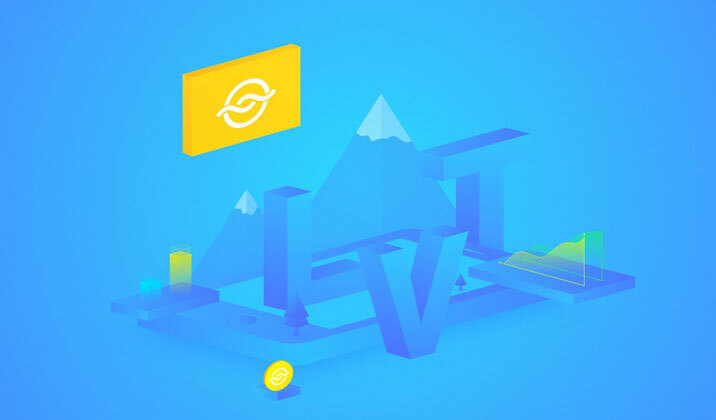 LivesToken(LVT) is distributed through Internet applications to compensate the quantified value that users generated from their behaviors and consumed time on the Internet, and eventually promote the applications to acquire more and better users. 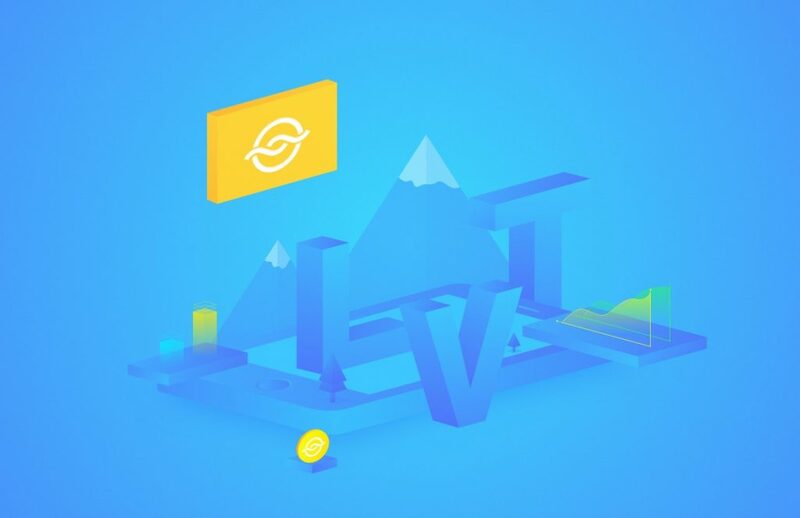 LivesToken is the medium to promote products for businesses, and also serves as a value-added token to compensate common users for their daily internet using behavior including but not limited to download, install, initiation, and further engagements. Through the connection of Symbiosism Economy platform, businesses, users, and platform can coordinate with each other seamlessly to achieve common prosperous and eventually form the new economic form of future. If you don’t want to be left out, then don’t miss out this great chance. The flagship of cryptocurrency, namely Bitcoin, has been largely monopolized by a series of powerful mine pools and it’s extremely hard for the mass to cut a slice through mining. 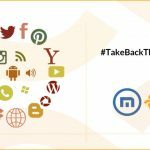 Maxthon Browser, on the other hand, can guarantee the fairness of mining and advocate users to use the Maxthon Browser Mining Edition to combing daily Internet using together with cryptocurrency(LVT) mining. In this case, token mining is no longer a separate and meaningless action, but a necessary step of your Internet usage, which is to use the browser to browse, click, comment, and share contents online. The cryptocurrency, LivesToken, will be generated automatically and assign to you based on your browser using behavior. No super expensive graphic card required, no huge electricity consumption needed, you can browsing at work or at home to mine LivesToken. This browser mining mechanism is the very first green mining mechanism for all the common users that invented by Maxthon Browser. Start from mid January, 2018, users can go to the event page and sign up to make reservation for the Maxthon Browser Mining Edition. You can only initiate browser mining after successful sign up. Invitation codes will also be assigned to signed up users for them to invite their friends to join in later stage. Start from the end of January, 2018, global mining of LivesToken(LVT) officially started. All users who successfully signed up in the reservation stage can be eligible to join and using the Maxthon Browser Mining Edition to mine tokens. Each day 10 million LVT will be assigned to all the miners for 50 consecutive days, which means a total of 500 million LVT will be given out in this stage.